Sold by D & B ENTERTAINMENT and Fulfilled by Amazon. Gift-wrap available. I have covered Wynne's first 2 albums together. They form a sort of double album, a summary of what Wynne can do, and clearly enjoys doing, with his exceptional voice. And he sure can do a lot! 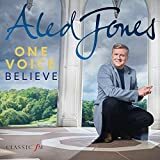 Recent British tenors have found fame and fortune before they really did the hard slog that classical singers have to put in if they are to really develop from singers to artistes. No names, but the others are well below Wynne's standard, and they do seem to have already lost all ambition to work hard enough to equal the foreign competition. I'm no fan of "light classics", but listening to Wynne get his mind, his voice and his breathing around even the least challenging numbers is a very pleasant experience. He brings those numbers up to his own standards, rather than lower his standards to fit the music. 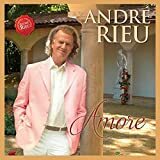 But when he does give us some of the great arias and some of the better traditional songs, he really does stand alongside anyone else I have heard. Don't let us do the awful British thing of denigrating our own talent for not being foreign: Wynne will one day be held alongside Bryn Terfel, who also had to pay for not being foreign in the undisguised opinion of too many "critics". 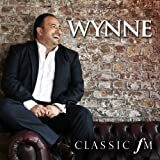 I want more Wynne, more arias, more great Welsh and English traditional songs, more of a man who brings temperament and gusto to the great art of being a tenor. Wales is the land of song and Wynne Evans certainly lives up to this great tradition. He sings right in the middle of the note and the compact disc contains a treasure trove of beautiful music. 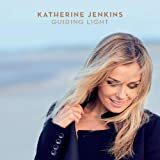 The cd is a delight to play from time to time and I would recommend it accordingly. Bought this for Christmas for my Dad. The front of the CD case had suffered an accident - in transit presumably. But I was able to do a quick swap with an old one so he could received a perfectly packaged present on Christmas Day. He loves it. Great selection of popular favourites. 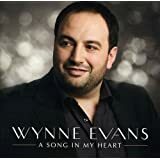 I was curious about Wynne Evans and bought the album to see what the real Wynne sounds like. I am not disappointed, he has a great voice and there's an excellent selection of songs. I recommend this album to all who enjoy the popular classics. 3.0 out of 5 starsDisappointed in the choice of music. When I heard the small clip on the radio I thought Wynne's voice was marvelous, and it is, but when I got the tape I was very dissappointed in the choice of music... a bit too sweet and sugary for a good tenor, a disjointed collection. I rather got the feeling that it was a mishmash to sell at Christmas. I feel the advertising and promotion by Classic FM "Disc Jockeys" was misleading, but "Hey Ho," they have a job to do, but I now have less confidence in their enthusiasm. 5.0 out of 5 starsA comment was made that is that the guy from the go compare advert as it looks nothing like him.